Please fill in the short form below with your question, either about the Simrad Sonarhub Sounder Module, or for some technical advice. Please include details of your vessel if you feel they will help us answer your query. 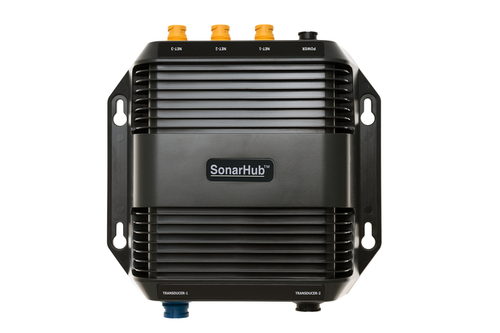 The all-new compact SonarHub™ module provides an all-in-one solution for adding best-in-class StructureScan® HD and CHIRP sonar capabilities to Simrad NS multifunction displays. 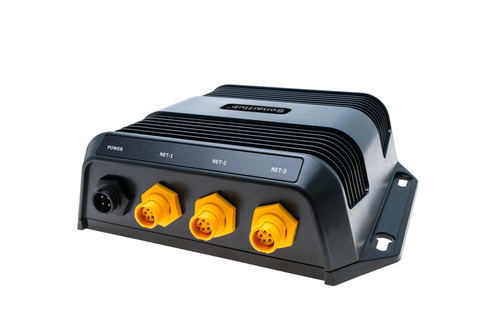 Compatible with the complete line of Simrad NSS Sport, NSE Expert and NSO Offshore multifunction displays, the plug-and-play network solution makes it easier than ever to identify productive fishing areas with connectivity to the latest Simrad sonar technologies -- including StructureScan® HD and CHIRP. 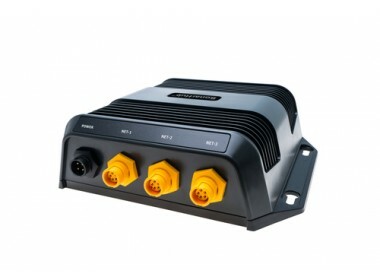 The innovative SonarHub module features three built-in Ethernet ports for quick and convenient networking without the need for an extra Ethernet networking module. 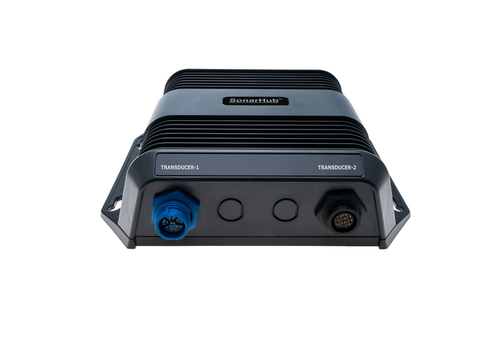 Compatible transducers from Simrad Yachting and AIRMAR are sold separately, and the SonarHub is protected by the Simrad Advantage Service program. 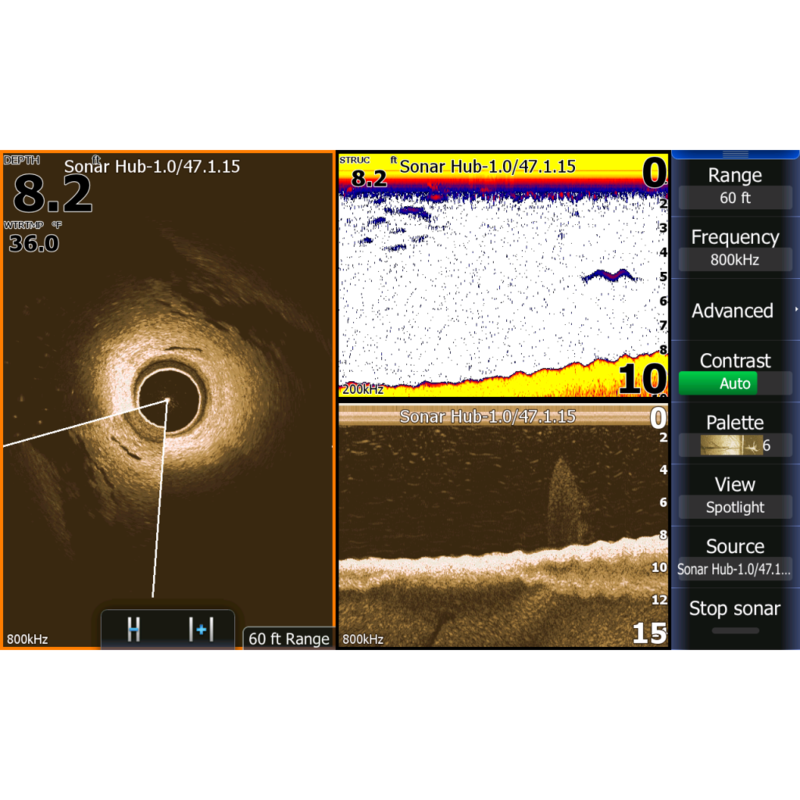 Compact all-in-one sonar module delivers StructureScan® HD and CHIRP sonar technologies. StructureScan® HD offers best-in-class, side-scanning range and resolution, plus DownScan Imaging™ to provide crystal-clear, picture-like views of what’s beneath a boat. Optional transducers include AIRMAR® TM150M, single-channel CHIRP transducer and existing StructureScan HD transducers. Plug-and-play compatibility with Simrad NS Series multifunction displays.